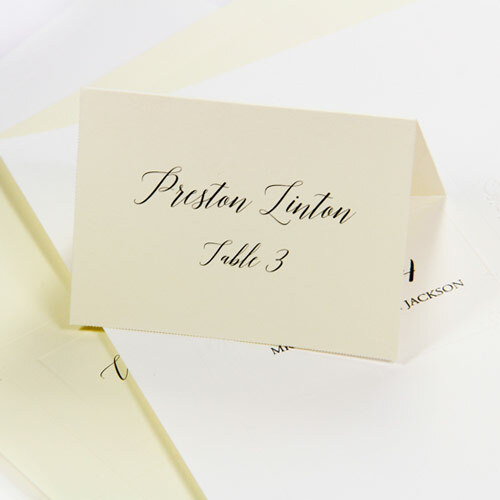 Quick and easy, yet polished and professional, at home printable seating cards are great for all sorts of events! Use for events corporate or social, small or large. 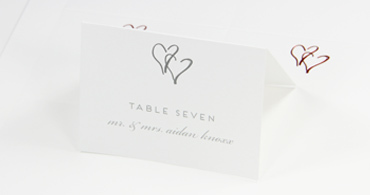 Print just a few sheets of seating cards for a dinner party or hundreds of sheets for a conference. 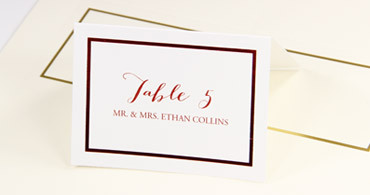 Quickly create warm, formal place settings for the holidays or a baby shower. 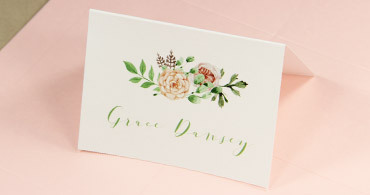 Easily design chic seating cards for your wedding or anniversary bash in a pinch. 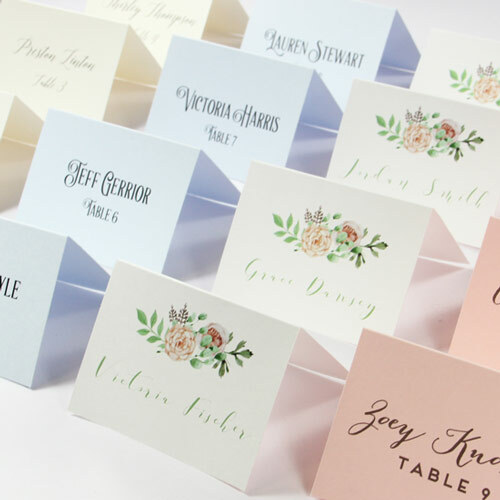 For more casual and traditional events, perfectly plain, printable name cards in a variety of smooth, matte colors - a blank canvas awaiting your own fonts, colors, graphics, and personalized touch. Colors, left to right: Wedding Cream, Light Sky Blue, Wedding White, Rosa. 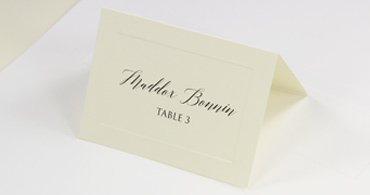 For more elegant affairs, metallic silver & gold foil place cards will add style and shine to your event tables. Choose from classic gold and silver foil frames or go with silver or gold hearts or palm trees for themed events. 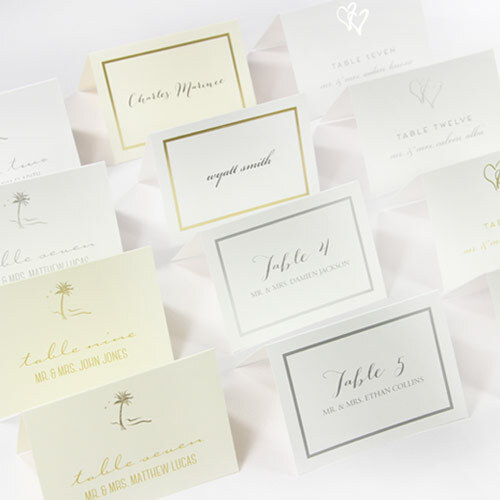 No matter the occasion, silver and gold name cards are always in style and always a customer favorite. 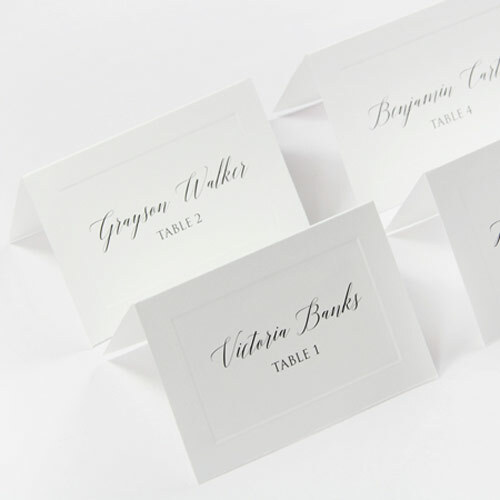 Looking for Flat Printable Place Cards? 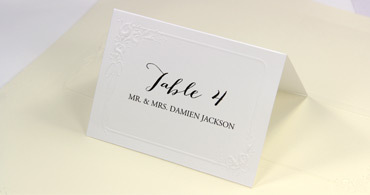 Interested in flat, easy print place cards instead of tent style? We have those too! Cards come ten 2 x 3 1/2 inch cards to one 8 1/2 x 11 sheet and are perfect for name cards, business cards, favor tags, and more.